Welcome to Smart Restaurant Reviews. Smart Restaurant Reviews is the latest news category from Smart Restaurants which rates and reviews restaurants and takeaways visited by members of the Smart Restaurants Team. 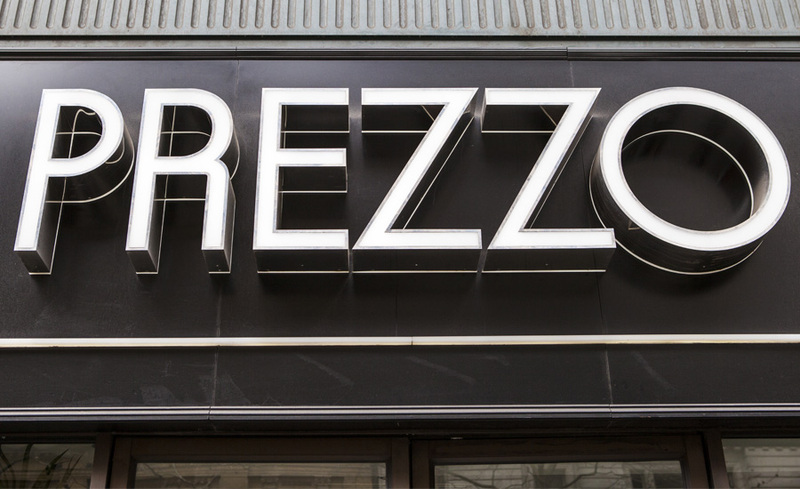 For the first edition of Smart Restaurant Reviews we take a look at a national Italian restaurant chain, Prezzo visited on Sunday 9th July in the local town of Northampton. It was late Sunday afternoon when we decided to go out for a meal. Looking online we decided that we hadn’t been to Prezzo for a while so we decided to go there. We attempted to book online for 6.30pm but it seemed that there was an issue with the online booking system where the page froze on the final booking screen so we were not sure whether or not the booking had gone through. We turned up at the restaurant just after 6.30pm and explained the issues that we had faced with the online system. The manager who we spoke to was rather snappy and instead of being understanding of the matter quickly said that it was not his fault. We looked around and spotted a number of empty tables, but to our surprise we would told that we would not be able to get a table for at least another hour. We said okay, left our name with a waitress and walked out of the restaurant. It was a lovely warm sunny evening and we spotted a couple of tables free outside. We walked back into the restaurant and politely asked if we could sit outside even if it could just be for a drink whilst we waited. One of the waitresses said yes and handed us some menus to look through and said that she would come out to take our drink order. Whilst sitting outside we noticed a considerable amount of couples and families being sent away. From a business view the staff at Prezzo Northampton were not doing much to accommodate all the diners that wanted to eat at Prezzo this evening. We heard customers saying they would have to go to Ask or Pizza Express and a few people decided to go to Nando’s which was next door to Prezzo. 40 Minutes later we had still not been seen to at our table outside and we were feeling rather thirsty by this point. We walked back into the restaurant and asked why we had not been seen to when the manager quickly jumped down our throats to say that he had not had the time. We were told to wait another 10 – 15 minutes and then we would be given a table, so we sat inside on some sofas. Another couple had returned for the second time to see if they could now be seated and the manager snapped at them and pointed to where we were and asked them to sit down and wait another 10 minutes, they looked shocked and walked away to go elsewhere. After about 10 minutes we were then taken to a table towards the back of the restaurant where we were seated. We were a bit confused when there were so many tables free at the front of the restaurant and the tables outside which we wouldn’t of minded as it was such a lovely warm evening. The waitress provided good service taking our order straight away and even the food turned up rather quickly. Looking around everyone seemed down and a bit fed up that they had to wait so long to get seated. After waiting so long we had slightly lost our appetites by this point but nevertheless we had come out for a nice meal and so we tried our best to enjoy it. Our food arrived within about 15 minutes. One margherita pizza with added mushrooms and one spaghetti and meatballs. It all looked a bit rushed and thrown onto plates. The food was okay, although the tomato sauce on the pizza seemed to have soaked into the base, there was a bit of mozzarella cheese and mushrooms thrown on top. There was no basil as stated on the menu. A table next to us had a pepperoni pizza which actually looked more appetising as you could see the tomato base was nice and juicy. We had desserts; a milk chocolate fudge cake with chocolate ice cream and 2 scoops of chocolate ice cream. These went down well and were an enjoyable end to our meal. We had some Tesco Clubcard Vouchers for £30 which covered our food and we then just needed to pay £5.20 for our two diet cokes. We didn’t leave a tip as we had not had a very good experience. Whilst we were there Deliveroo were in and out collecting orders for takeaway. This caused some frustration as we had encountered so much difficulty in being a customer for Prezzo yet people were at home ordering food via Deliveroo and being given what they had wanted. Could this mean that the experience of dining out is slowly fading away? Surely restaurants should look after customers that are eating in over the ones that want a takeaway. Those eating in will spend more money on drinks (if they were served drinks!) and even sides or other items that they have seen on the menu rather than just a couple of pizzas that they have ordered to eat in at home. On our way out we said goodbye to the waitresses and to the manager. We wanted to express our disappointment with our evening and so we just kindly asked the manager why we could not be seated straight away and again he snapped saying the restaurant was full. Without arguing back we simply explained that were several free tables in the restaurant and that we had seen several groups of people walk out in the time that we were waiting outside. He just shouted back at us saying that the restaurant was full and we were astonished by his rudeness. We asked to take the managers name with which he replied Richard. Eventually he told us his full name was Richard Hydell. We walked out to see a couple seated outside eating where we had been initially sitting and felt even more disappointed when this is what we had asked to do and been refused to do so. In the past we have had many nice meals out at Prezzo Northampton, going back to the first visit with a University friend when Prezzo first opened in Northampton. We have had many celebratory meals here such as birthday meals and graduation meals. It is a shame that due to the experience we encountered that we will not be going back to Prezzo Northampton. That is not to say that we will not be going back to Prezzo but we would rather try one further afield such as the one in Milton Keynes than go back to our local one. They said negative feedback can be turned into a positive so our tip to Prezzo Northampton is to change the way it treats customers. Recent reviews on Tripadvisor are saying the same thing about the rudeness of staff so this is what needs to be improved. If you treat a customer well they will more than likely keep coming back, but treat them poorly and you have lost them forever.